Sylvi Saimo was the first Finnish woman to win an Olympic gold medal in summer sports. Saimo used to practice skiing, orienteering and athletics in her younger years: she was 32 when she took up canoeing. In 1948 she finished sixth in women’s 500 metres kayak singles race at the Olympic Games in London. Two years later she was crowned world champion in Copenhagen. 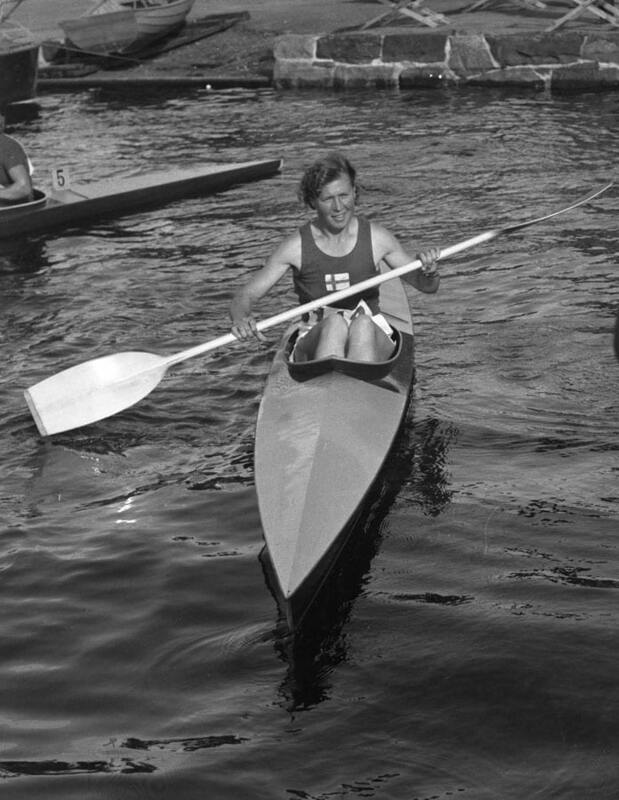 In Helsinki 1952 Saimo enraptured the home crowd by winning Olympic gold in a tight final race. After finishing her sports career Sylvi Saimo entered politics and served in the Finnish Parliament for 12 years. She lived and worked on her own farm until the age of 90.